In NZ with its clean green image you would expect far advanced tools and processes to help the environment to stay clean and green. Coming from a country where there is ‘recycling police’ who penalise people when the wrong waste gets mixed up, I have always been really surprised at the light approach they take here. They can’t get rid of the plastic bags in the supermarket and separate recycling bins have only recently started to become fairly common. And even now the glass recycling bin for example, is still a co-mingle, which is not great for the end result of efficient recycling. At my work I am seen as a greenie, jokingly called a hippie. I am a green realist, i really don’t do extreme things. I turn off the lights when they have been left on, I created a sustainability policy as there wasn’t one, I re-use plastic bags, walk if I can instead of using a car and choose local food over imported if this is practical. I don’t think this is anything out of the ordinary, however my colleagues seem to do, so being ‘green’ is certainly not the norm here yet. Things are certainly improving though. There are now paper recycling bins in the office, there are a lot of companies sprouting up providing a framework for local produce distribution and even the trains are going electric. And even though it’s not perfect by far, when you drive through NZ and see the amount of green space, smell the clean air and see the amazing green blue water, you can’t help but think that NZ must be pretty green! 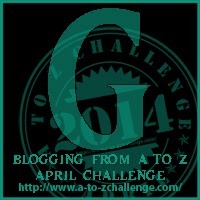 This entry was posted in A to Z challenge and tagged clean and green image, green, new zealand, recycling. Bookmark the permalink.